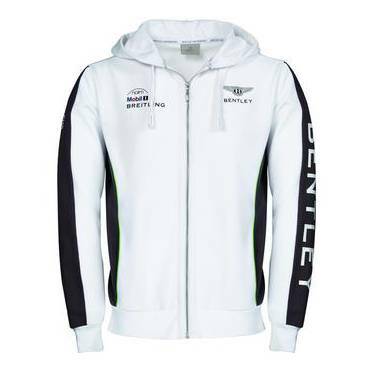 For Bentley Motorsport enthusiasts of all ages, there's something in the Bentley Collection's Motorsport range. From caps to coats, from coffee cups to babywear. 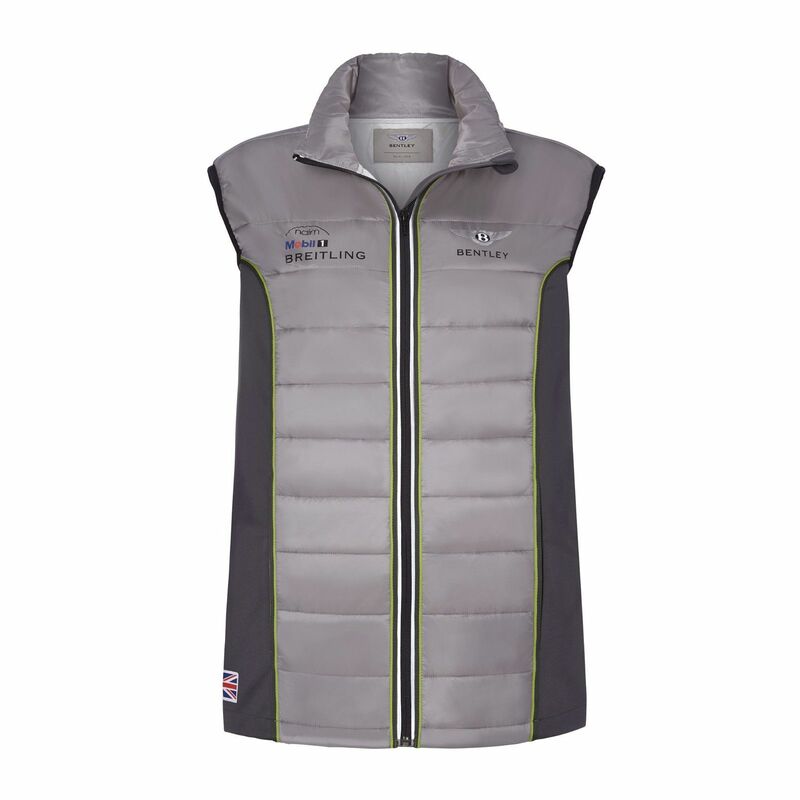 High collar contemporary vest with pockets. Features Union Flag at base. Bentley Wings and main sponsor logos on chest. Matrix grille Black puller and reflective piping to zip. 100% polyster. Supremely comfortable, this contemporary softshell jacket has a high collar, internal pockets and zipped pockets on the front with matrix grille zip pullers. Featuring Dark Grey side panels and sleeve adjusting. Bentley worded rubber, with the Bentley Wings emblem and sponsor logos to the exterior. Soft, heavy cotton hoodie. Vertical 'Bentley' wording on the sleeve. Drawstring in the hood. High collar and stretch cuffs. Two pockets. Union Flag on the sleeve. 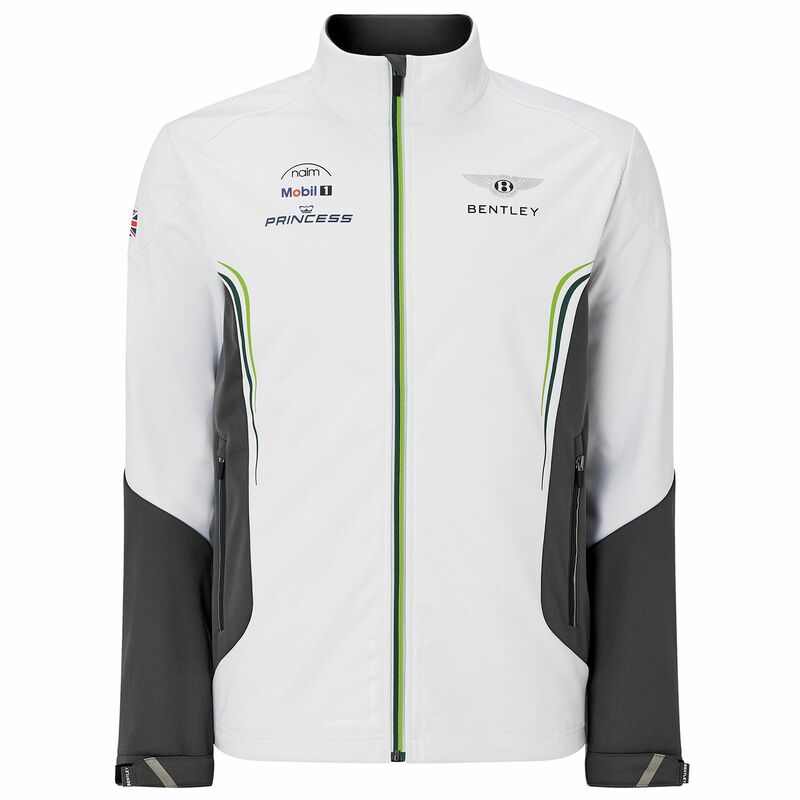 Bentley Wings emblem, Main Sponsor logos on the chest. 100% Cotton.